Aqua Living is located in Arvada, Colorado—conveniently located just a half hour outside of Denver—to meet all your spa and swim spa needs. We sell hot tubs, saunas, baths and tanning beds, including our popular Dr. Wellness spas, which provide relaxing hydrotherapy with the highest quality and the lowest prices to residents of the Denver area. 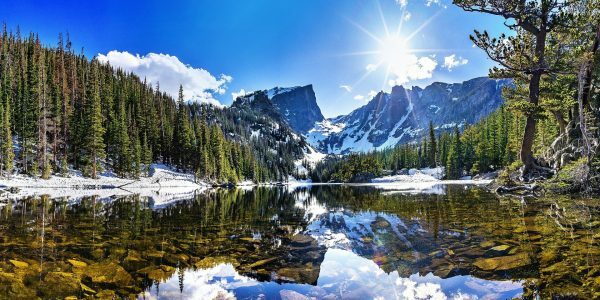 Aqua Living is proud to be a part of Colorado, a state known for its stunning vistas and vibrant communities. Visitors and residents alike enjoy a wealth of fun activities and events, from camping in one of the states 13,000 campsites to hiking in the Rocky Mountains to attending a variety of festivals. Contact our Aqua Living Arvada outlet by viewing the location information below. Aqua Living is a hot tub manufacturer with a chain of 37 retail locations across the United States. We offer luxurious products at low prices because we are a manufacturer that sells directly to consumers, not a dealership. Our stores maintain a low overhead cost by not keeping regular business hours and instead meeting with customers by appointment only. Additionally, we do our financing in-house so that customers with a variety of credit can qualify. After a long day of hiking, biking or exploring all that Colorado has to offer, customers love to kick back in one of our soothing spas, hot tubs, saunas and more. To make an appointment at our Arvada location, give us a call. Our knowledgeable staff will be happy to help you find a spa that’s custom-tailored to your needs.